The Education, Gender and International Development MA will develop a student's understanding of the gender dimensions of research, analysis, policy and practice in relation to education in low- and middle-income countries. It will encourage them to consider how developing countries connect with more affluent and powerful regions of the world. Part time/flexible students typically take one module each term. All students must attend at least one face-to-face module in London. Applicants should normally hold a minimum of a second-class UK Bachelor's degree or overseas qualification of an equivalent standard, and demonstrate commitment and genuine interest in issues relating to gender, education and international development. They will normally have a minimum of six months' experience living/working in a low/middle-income country. Applicants who do not meet these criteria will occasionally be considered on the basis of an excellent personal statement that explains how other experience relating to international development supports their application. The programme provides students with the opportunity to follow a course of study unique in the UK, looking at a range of current issues and debates, including discussions about girls’ access to and achievements in school; femininities, masculinities and gender relations within education; post-colonial perspectives and the ways in which the state and society shapes the politics of gender and education; and approaches to social justice and education. The programme consists of two core modules (60 credits), and either two optional modules (60 credits) and a dissertation (60 credits), or three optional modules (90 credits) and a report (30 credits). This module introduces a range of concepts from the social and political sciences that assist the understanding and analysis of the relationship between education, learning and international development in low and middle income countries. The module also explores critically the changing links between these relationships at individual, local, national, regional, international and global levels. It introduces and discusses issues of educational policy and practice in low and middle income countries. This module is also available on a distance learning basis beginning in the autumn term studied through virtual learning environment Moodle. This module aims to link work in education and international development with insights from gender and education and relate these to educational policy and practice. It is designed to develop an understanding of the circumstances in low and middle income countries, under which gender affects rights to, rights in and rights through education. The module looks at the gendered dimensions of processes of teaching and learning. It considers sexual divisions in education and the gendered political economy of family, work, political action and cultural production. Particular attention is given to gender and violence in school settings. Throughout the module there will be a concern to explore gender sensitive strategies and alternative approaches in education to overcome social division and inequalities. This module will examine the relationship between education (primarily at the level of schooling), state formation and patterns of economic growth in selected Asian countries and regions. It will be informed by a critique of various concepts of 'development', and will focus in particular on controversies relating to the significance of trends such as globalisation, cultural identity and autonomy in the developing world. While it will feature discussion of the relationship between education and economic development, the conceptualisation of 'development' adopted here will extend beyond a concern with GDP and poverty reduction, to broader considerations of the role of education in the search for Asian models of 'modernity'. Key themes will include the role of skills formation strategies in the East Asian 'Economic Miracle', the contribution of education to nation-building and identity formation, and the implications of globalisation (both cultural and economic) for education policy in Asia. A particular focus will be the tension in education policies in China, India and elsewhere between an elitist pursuit of high skills seen as crucial to competitiveness in the 'global knowledge economy', and the promotion of basic education for the masses with a view to fostering greater equality of opportunity and 'social cohesion'. The dangers inherent in the relationship between education (particularly schooling) and nationalism in East and South Asia are another major theme of this module. This module will primarily focus on exposing participants to the historical, geographical, political, economic and cultural underpinnings of education in a host of Muslim communities. It will elucidate the state of education and seek understanding and explanation of such educational provision in the light of global declarations such as: Education for All (Dakar 2000, Jomtien 1990); Human Rights Declaration (1948); and the universal Declaration on Cultural Diversity (UNESCO 2002), which have been ratified by the vast majority of the world's countries. The module will therefore critically investigate current global efforts and approaches to improve educational provision. National and regional case studies will be presented to illuminate the interconnected areas of concern and issues and challenges to appreciate education in Muslim communities. Case studies will reflect the geographical range of Muslim communities: majoritarian Muslim countries, countries with significant Muslims, and regions where the settlement of Muslims is a relatively new phenomena. This module critically explores complex interactions between education, armed conflict and state fragility. It examines the role of education in the formation and prevention of socio-political tensions in low and middle-income countries and provides an opportunity to debate the key political and sociological theories in the field of education and conflict studies. Students engage in the analysis of education both as an instrument that is complicit in reproducing socioeconomic divisions as well producing a critical mass of learners who resist inequalities and social injustices. The multitude of ways violent conflicts and state fragility impact upon marginalised groups, including children, the intersection with inequalities associated with poverty, gender and ethnicity, and the gender dimensions of conflict, are also considered. In addition to formal lectures and seminars on the module, students will also be encouraged to participate in institutional visits and engage with the work of various international non-governmental organisations that support education in low and middle-income countries. This will not only provide an opportunity to gain insights into current policy debates and development priorities in the field but also a networking opportunity with practitioners and policy makers. A large number of our students who come from conflict-affected societies or with an experience in such environments create a unique learning space on the module. This module will look critically at current theories, policies, practice and approach to learning and teaching in the context of education for all (EFA). It will provide participants with an awareness of political, social, cultural and linguistic contexts in which teaching and learning take place. It will analyse challenges faced by governmental and non-governmental agencies in providing quality education for all. It will examine debates about planning and selection of knowledge, especially as related to teacher education and curriculum development systems in developing contexts. It will also consider different approaches to assessment of learning and consider the implications and effects on teaching. The module provides an international perspective on collaborative education planning, governance and administration within and between non-governmental organisations (NGOs) and inter-governmental organisations (IGOs, bi-lateral agencies), the private sector, and governments. It considers conflicting demands on education and ways to put new ideas into action, working from an examination of how decisions are made, to how they are implemented. Dilemmas regarding resource allocation and dealing with corruption and violence are explored. In two problem-based case studies at the end of the module, participants look at significant contemporary issues and possible education planning approaches. This module focuses on low and middle income countries only. Students should be aware of this before joining the module, and be able to bring experience / knowledge of low and middle income country contexts. This module is for professionals and practitioners who are interested in promoting health and wellbeing through education in its broadest sense ï¿½ whether working in local communities, schools or other settings, and whether with statutory services or voluntary, civil society, private organisations or social enterprises. Key topics addressed include: global health issues, understandings of health and wellbeing, the nature and practice of health promotion, participatory practice, understanding power, evidence informed practice, project planning, preparation of funding proposals. This is a core module for the MA Education, Health Promotion and International Development, but can be taken by all post-graduate students at the IOE. It can be studied by those from a range of backgrounds including education, counselling, health, social work, arts, community and social development, and related areas. You do not need to have a health or medical background to study this module. For details about this module visit UCL African Studies website. All students undertake an independent research project which culminates in either a 20,000-word dissertation (60 credits) or 10,000-word report (30 credits), focusing on gender and education in a low- or middle-income context in some form. Teaching is delivered by lectures or other structured inputs by staff; participant-led presentations and discussions based on selected readings or a clearly specified project; tutor-led seminars; workshops; problem/issue-based paired and small-group work; occasional debates and occasional invited speakers; reflections on film and video inputs. Assessment is via various forms of coursework including discursive essays, critical analysis of empirical research, reviews of literature, and the dissertation or report. Students may undertake fieldwork in relation to their research for their dissertation or report, but it is not a requirement. If undertaken, fieldwork must be self-funded. Graduates of this programme are currently working across a broad range of areas. Some are working as specialist professionals in NGOs and international development organisations, while others have jobs as teachers and education managers. Graduates can also be found working as government officials, civil servants and university lecturers worldwide. understand processes entailed in research and conduct a small research study. 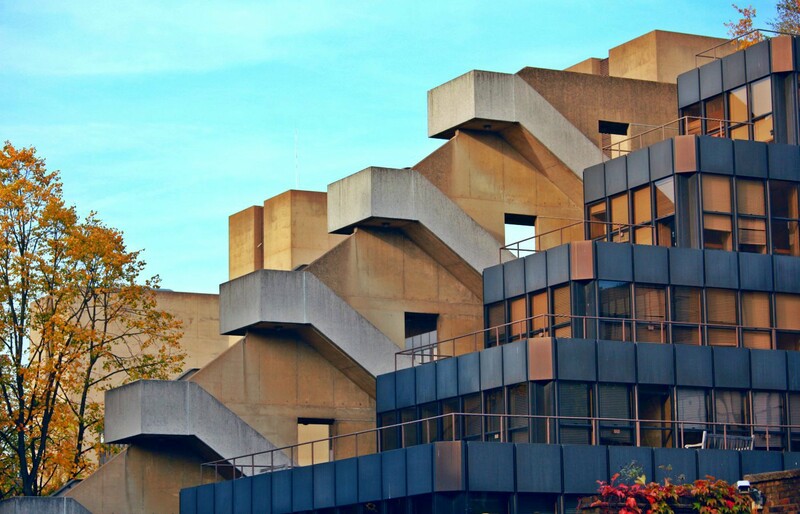 The Department of Education, Practice and Society at UCL Institute of Education is the well-established home of an interdisciplinary grouping bringing together high-quality teaching and research in the history, sociology and philosophy of education and international development. The department has extensive experience and expertise in education planning, health and gender in Africa, Asia and Latin America; 'policy sociology'; education, equality and human rights; issues of gender, 'race', sexuality, disability and social class. Policy seminars and a vibrant student/alumni group provide excellent networking opportunities. Students benefit from an extraordinarily powerful learning community which links research, policy and practice. This programme is suited to professionals with an interest in gender, education and development, who would like to reflect and build on their experience of working in these areas. Please make sure that your personal statement also clearly explains the nature and length of your experience of living/ working in a low/middle-income country.